Man vs. nature, and by extension, man vs. his own nature. It’s not an uncommon theme in film. Usually it involves the breakdown of a group in an isolated environment, becoming feral, members desperately trying to maintain their humanity. 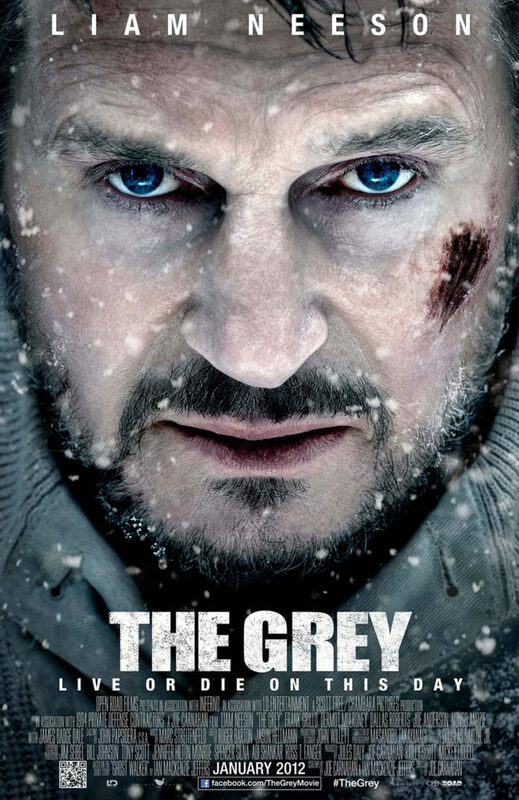 Director and screenwriter Joe Carnahan’s The Grey dispenses with much of the metaphor and instead keeps things simple. Mere survival is the theme here, pitting a group of humans against a pack of wolves. Set in the Alaskan wilderness, The Grey tells the story of a group of oil industry roughnecks who survive a plane crash on a mountain far away from civilization. Not long after the seven survivors organize themselves enough to get a life-saving fire burning, they discover they are being stalked by wolves. The wolves don’t seem to be interested in hunting the men for food. Rather, they seem intent on just killing them for being in the wrong place.